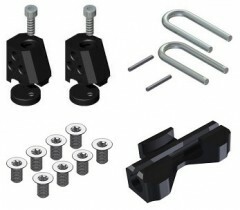 Replacement parts and innovative accessories from Kreuzspitze. Find our growing collection of Kreuzspitze binding parts below, typically sold in pairs except for the screws/bolts/nuts. Crampon Attachments - The machined receptors that need to be mounted under the toe pieces. Accepts standard tech binding crampons. 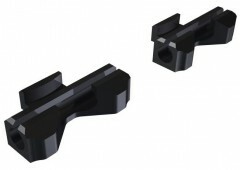 SCTT Heel Risers - Plastic wedges that clamp onto the steel forks of SCTT bindings. Rotate the heel piece 180 degrees to use. Not compatible with the titanium forks. 21g w/ bolt. 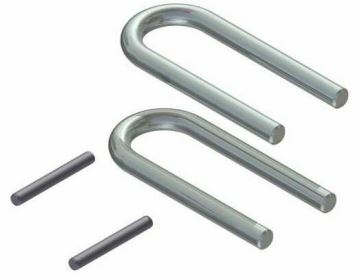 Steel Forks - Replacement forks for the SCTT bindings, or turn a SCTTT titanium version into a steel one. Heel Support Pads - Support pads to take some weight off the heel pins. 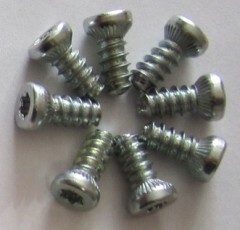 Set comes with longer pan head screws and an adjusting bolt. 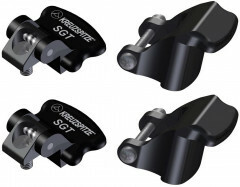 GT Heel Flaps - Race-style pin covers for quicker transitions using the GT binding. The flaps screw onto the heel roofs. 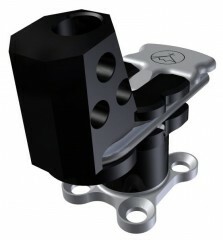 GT Heel Risers - Extra riser that sits on the GT Heel Flaps to offer a higher climbing position. Comes with long bolts to hold them onto the flaps. GT Flap & Riser Kit - Combo kit with heel flaps, risers, and installation hardware. Turn your GT binding into a full-featured touring binding at half the weight. 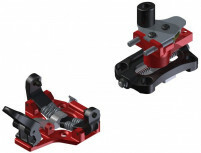 Brake Mounts - Extra locking switches for the brakes so you can use them on more than one pair of skis. 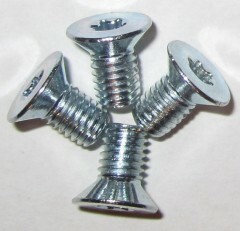 Torx Mounting Screw - Screws for mounting Kreuzspitze toe and heel pieces (or adjustment plates). Torx Adjustment Plate Bolt - New stronger adjustment plate screws with Torx heads to resist stripping. Torx Adjustment Plate Nut - Nuts that fit under the adjustment plates and accept the adjustment bolts. I have the gt heel flaps. What tool do I use to remove the top of binding screw and then install the flap? Doesn't seem to be hex 2.5 or 3.0 mm. A smaller torx than the binding mount screws? Thank you. Hey Dgg! Should be a 2.5mm Allen Key. Just make sure it's really sharp otherwise you can definitely strip it out. 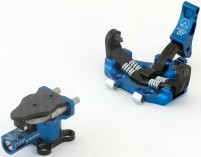 Hi, I am thinking about adding the crampon attachment for my Kreuzspitze bindings. Will I need to remove the toe piece to install the crampon attachment? Do I need other parts to most these? Thanks! Hi Teal, you will have to remove the toe piece to install the crampon adaptor but the kit comes with all the parts you will need. Will the support pads work with SCTT adjustment plates or do they require that the heel piece is mounted directly to the ski? Hey Patrick. There are enough "well, I guess in theory it would work but..." scenarios about the Heel Support Pad working with an adjustment plate that my initial thought would be that the heel must be mounted directly to the ski to make the Support Pad work. There is a good chance (if you can find bolts to attach the heel pad to the adjustment plate in the first place) that if the heel isn't all the way back on the adjustment plate to support the pad, you could stomp the heads of the bolts right off and render your heel and support pad somewhat useless. 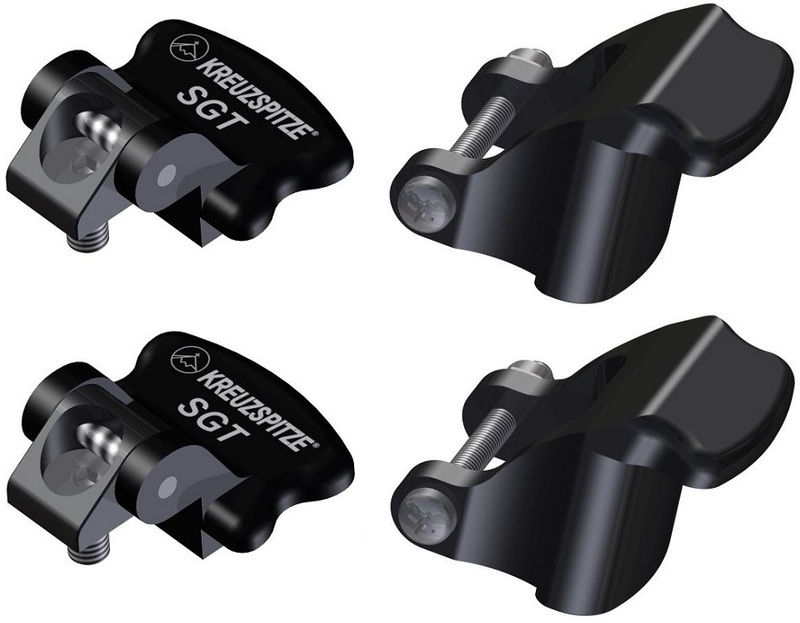 Will the heel support pad still allow the GT to rotate 90 degrees or does it only work with the SCTT? I'm assuming it will prevent the GT from rotating 180 to the elevated position. That being said, do the GT heel flaps rest on the pins so that one's body weight on the flaps does not create a leveraging force on the single forward screw to which the flap is mounted? Hi Robert, you are correct. The heel support pad prevents the GT from rotating 180 degrees so you would need the heel flaps to go uphill. The flaps rest on the heel pins, which is a common design with race bindings. I have some Torx (T20) mounting screws rattling around in my parts bin. They are 13mm total length and have an angled or sloped head on the underside. Is that the appropriate length for attaching a Kreuzspitze adjustment plate. They seem kinda short. Hey Richard, you got it, those should work just fine unless your ski is particularly thin. If it's a thin ski you may have to grind the screws down to get them to not dimple the base when you screw into it. Otherwise you're safe to use the 12.5mm screws. I damaged torx head of bolt (screw?) which keeps front piece of binding on Kreuzpitze adjustment plate. What part should I order from you: torx bolt or screw? Hi Vadim, you'll need a Torx Adjustment bolt. Hi, if I order the heel support pads for 19.95 am I receiving 1 or 2? Hi Drew, they are sold in pairs (x2). How can I get the GT heel risers? Will those be available any time soon? 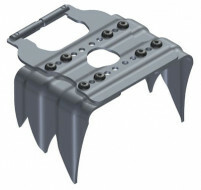 How do I order the kreuzspitz crampon attachments I can't see where to add them to my cart? Hi Jeff, we temporarily sold out of those, but are expecting more by the end of the week. I'm after some replacement forks (preferably steel) for some ATK Race SL bindings and curious about what brands might be compatible. As far as I can gather Hagan & Fisher race bindings are identical, but I cannot track down replacement parts for any of them. Do you know if the forks from Kreuzspitze or SkiTrab would fit? Hi Kaj, we have the titanium forks listed under Hagan bindings parts. Unfortunately steel ones aren't available for that binding, and no others fit well. At least the titanium version is relatively inexpensive. When will the heel support pads be available? Does the boot heel touch them when skiing normally? Maybe resisting lateral heel exit from binding. Am I understanding right that they are meant to save the heel piece from fatigue when skiing with a pack - resulting in rotation slop or bent springs? Hi Joe, the support pads work with a bare heel or the adjustment plates. 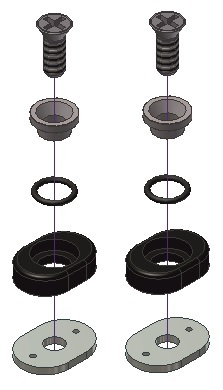 Both lengths of screws will be included in the kits (expected 9/15). Also included is a front screw that can adjust the height of the pad slightly to account for variations in boot sole thickness. 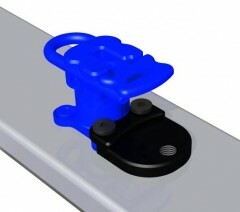 This allows tuning of the desired amount of support versus lateral-release interference. While not specifically designed to prevent the failures you mention (I've never seen bent springs, e.g. ), the pads can add some stability during descent and also offer a riser platform in walk mode (preventing a negative ramp angle when the heel is turned 90°). I was wondering if I can replace the titanium forks in a SkiTrab binding with these steel forks. Hi JSD, forks are not standardized nor meant to be swapped across various models. That said, despite being thicker, the SCTT forks do fit in the Trab housing. The pins stick out further so you'd need something like a 5.6mm heel gap. That could change the release mechanics to levels that may not work for you.